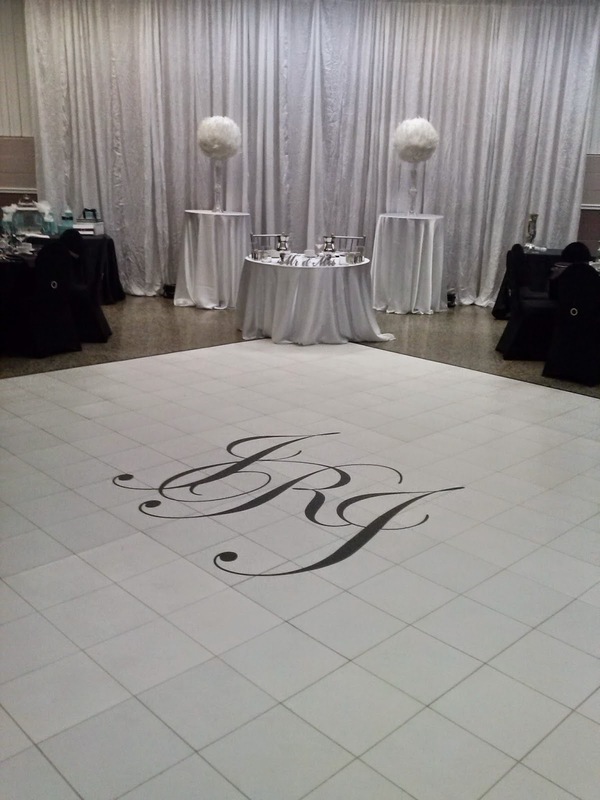 We recently had the opportunity and honor of taking part with the decorating of a local wedding here in Ottawa/Hull. 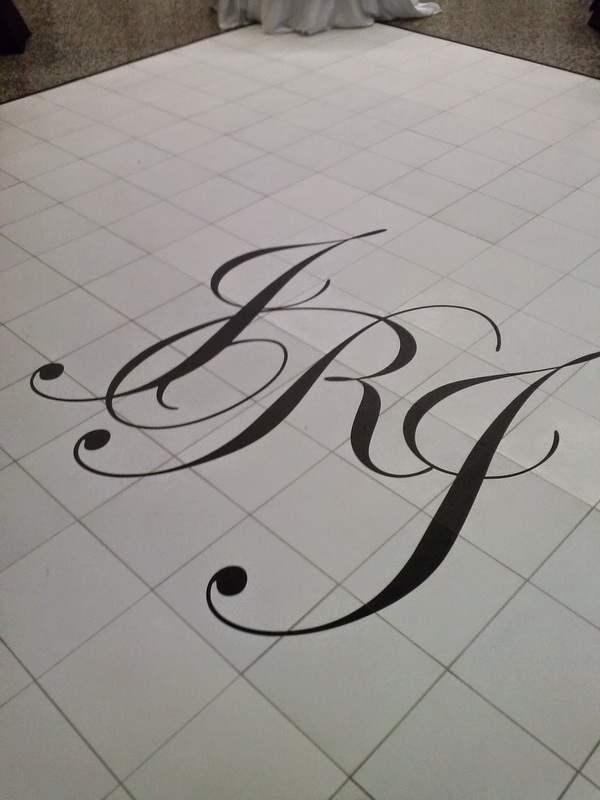 sparklingexpressions cut and installed a monogram for a very large wedding dance floor (6 feet by 6 feet) and we thought we would share a few pictures of the design. 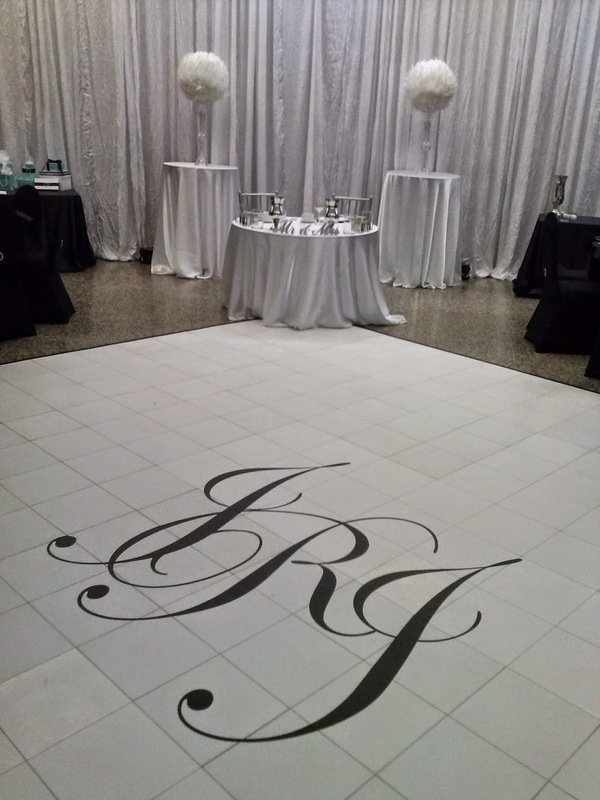 Custom vinyl Dance Floor Monograms are a big growing trend and we are more than happy to work with you to create the perfect vinyl decal for your big day. As well we can cut vinyl for many other applications for your wedding day as well, be it chargers, wine glass or bridal showers. Even Glitter Tattoo's! 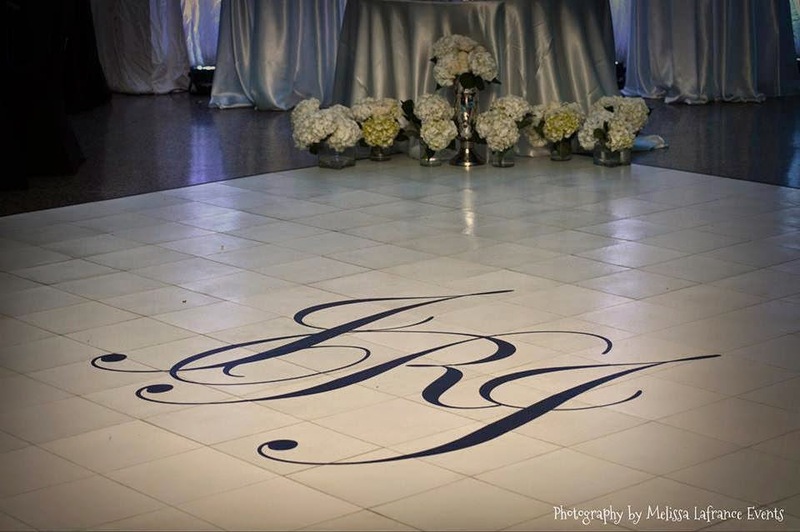 Special thanks goes out to Melissa Lafrance Events for the following photograph of the the monogram.